Robia is in the Brand New issue (#3) of Buffy the Vampire Slayer Magazine! A nice big article! Text coming soon, view the pics here. Robia is ALL OVER the Watcher's Guide, a new BtVS book, view the photos here! Robia is currently making a NEW SHOW FOR THE WB! And a movie! Yah! Hello! 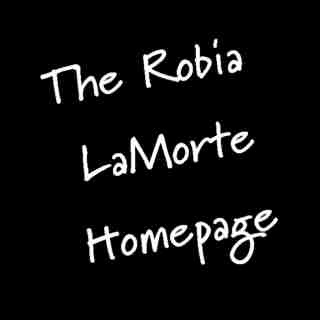 And welcome to the Brand New, Robia La Morte Homepage! This website was created on May 31, 1998! And it was FINALLY UPDATED! Sorry for the long delay! LAST UPDATE: 24 January, 1999! The pretty and talented, Robia LaMorte, got her break doing videos for The Artist Formerly Known As Prince, as Pearl. All of those videos can be bought, by the way, at any music store as the "Diamonds and Pearls Collection." Anyways, Robia was a pro dancer at 16, but then tried acting. 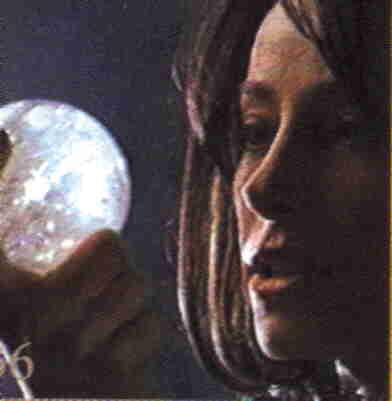 Her signature and the reason why most people know her name is her role as "Miss Jenny Calendar," the gypsy computer teacher on the WB's "Buffy the Vampire Slayer." So, enough talk, check out the sections of this site, and enjoy! --Robia's Filmography, find out where else to see her! or simply, Send Me An E-Mail. Thanks! PAGE OWNED AND OPERATED BY: STEF, SHRS JOB TITLE: Honourary Romanian Gypsy who can speak to Jenny. KEEPER OF: Miss Calendar's Gypsy Spells and Outfits from "Bewitched, Bothered & Bewildered", Giles' weapons chest (in his apt. - from "Passion"), Spike's wheelchair, Dru's necklace from Spike. MEMBER OF: GASP!, MCTP and SHRS and VAMPS. OWNER OF: This Site, and Welcome to Sunnydale. ALSO: OWNER/CO-PRESIDENT of Spike and Dru's VAMPS- Address posted soon! PAGE LAST UPDATED ON: 24 January 1999!. "That's TV, The idiot box is TV. THIS. (the computer) is the good box." -RLM. Page owned and © 1999 Stef Tucker, use only w/ permission.